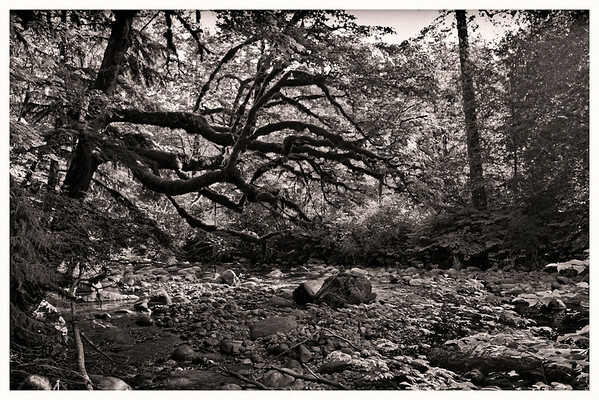 Topaz Labs has introduced B&W Effects at a perfect time because Black & White photography is getting hot again. Products like Nik Software’s Silver Efex Pro 2 is selling like hot cakes; Epson printers like the 3880 and 4900 are being used heavily in their Advanced Black & White mode for black & white printing; and photographers like Vincent Versace are coming out with books like Welcome to Oz 2.0 to capitalize on this boom. As a result, I was super excited to see what Topaz had to offer in this super affordable product. Why Do I Need Black & White Software? To the newbie, black and white seems easy – just desaturate the color away or use the grayscale mode in Photoshop. Some will even say – just use a black and white preset in Lightroom, but if all of these methods left you unsatisfied with the result – you are not alone. The key to good black and white is very subtle, but the key part is that you want your black and white image to look like something you have in your mind. Perhaps it was the way Ansel Adams did it, or perhaps the way you it done in a magazine recently, but whatever “it” is, simple methods don’t seem to have “it”. As a result the quest begins to get good black and white and dial in the perfect results. Using Photoshop, Lightroom or even Aperture can be maddening because images tend to be too dark, too washed out or too blocked up. Getting that perfect balance is an art form in and of itself, hence the need for products like B&W Effects. If the user-interface for a Black and White product doesn’t help you to get good results quickly, then there’s really no advantage of it over Photoshop, Lightroom or Aperture. However, I’m please to say that the folks at Topaz Labs have tried really hard to make it MUCH easier to realize your black and white vision. 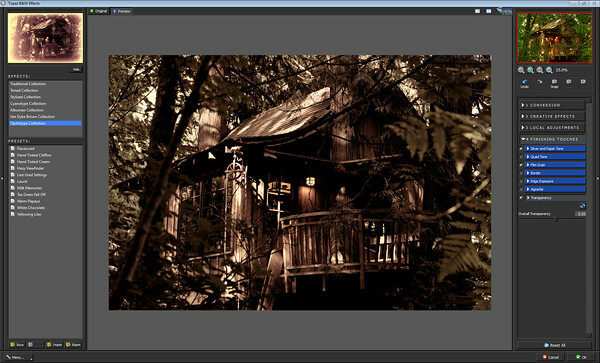 To the left of the user-interface is something that will seem familiar to Lightroom users – a preview window and a bunch of presets. The effects list is just a container for groups of presets. In all there are 8 different effect styles and over 100 presets, so many will find the exact look they want by just clicking through the list. For those who want to use a preset as a starting point, but then fine tune their image there’s the right side which offers a wide variety of things that can be done to dial in adjustments to give you the exact look you want. Fortunately you can save (and even export) all your changes for use as a future preset, so once you have your favorite “look” then you simply need to click a preset and you are done. 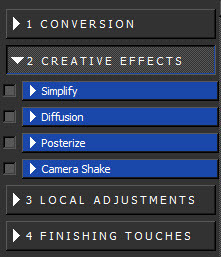 Here’s a quick look at each of the sliders and parameters options, each of which can be enabled and disabled as needed using a checkbox and tweaked by expanding the control. 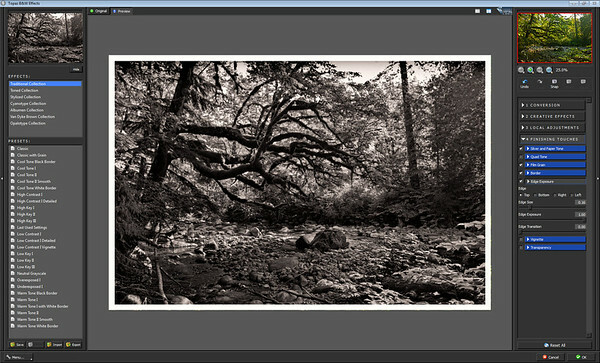 This is where you start to get your image looking good as a black and white based on the preset you have chosen. It’s not uncommon for converted black and white images to be too dark or too washed out, so basic adjustments can help a lot here. 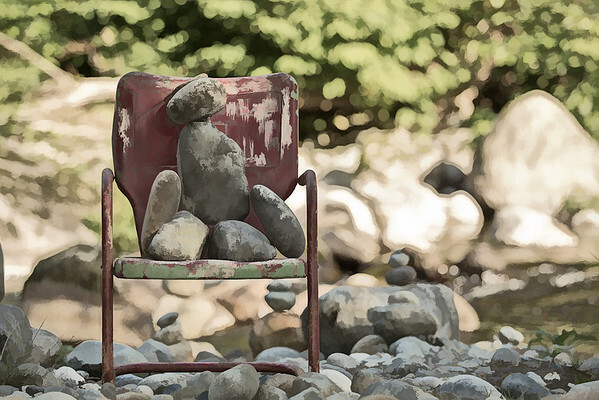 Once your image is looking good you can start making it more interesting using the Creative Effects section. One of the problems with black and white is that you don’t want to lose detail during the conversion and it’s not uncommon for some areas to just look blocked up or bleached out. This is where the Local Adjustments section comes in so you make adjustments or add selective color if desired to your image (think Sin City b&w with red lips). Once your image is done you may want to add some finishing touches like grain, a border, etc… You may also want to reduce the opacity so that the B&W work you’ve done is effectively letting the color bleed through, so there’s transparency (which is very useful for products like Lightroom since it doesn’t support layers). My day job that pays the big bills is a user-interface programmer so I am passionate about user-interface design. Overall the design here is fairly solid as it organizes a lot of options in a easy to follow manner. 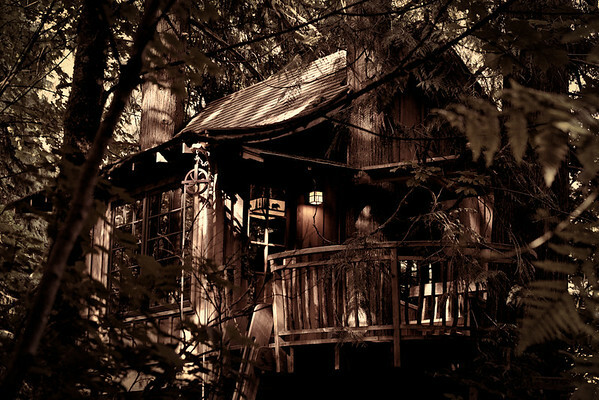 However, when you drill down on the right side most of the options end up offering too much freedom. 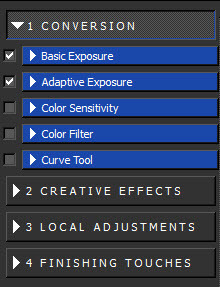 For example if I choose Color Filter, rather than getting a list of common color filters I’m just presented with a complex slider which makes things more complex than Nik Software’s design which just has little filter icons for common types. It’s little things like this that exist throughout the user-interface, or in some cases (like border) it’s been simplified too much (only black and white borders are possible). One of my biggest concerns is that the preview appears to be sRGB which results in a quite a bit different result when going back into Photoshop with a 16-bit ProPhoto RGB (my default from Lightroom Edit in Photoshop). This meant that I was sometimes unhappy with the color shifts, and even though my final image ended up in sRGB – it was never exactly like I saw in the UI. Overall the user interface isn’t bad, but its far from perfect. It’s also a time sync at first because you can spend an hour+ just scanning through all of the effects and presets. You can probably spend another hour on the right side tweaking as well, so flexibility to do whatever you want has come at the cost of ease of use / rapid editing. The performance felt fairly sluggish on my Windows 7 computer (compared other plug-ins). It’s usable on my 8GB reasonably powerful system, but I’d hate to use it on a slow system. Hopefully this is something that will be addressed in an update as it is slow enough that I’d find myself not wanting to fire it up and use it. If you were doing those checkbox comparisons that marketing people like to do, you’d probably come up to the conclusion that B&W Effects is more feature packed than the competition. However, when you actually use it you realize that some features aren’t fully baked. 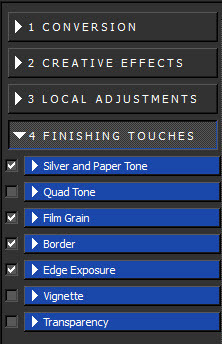 For example, films (under finishing touches) only feature grain and not full effect of the film. Sometimes an image can be edited using competing products just by selecting a film, but here you just get the noise and not the actual image processing. In the end, I’d say there’s a lot of features here – but don’t be fooled into thinking that makes this product easy – it doesn’t. If you don’t get a preset to do what you want you might find yourself spending a lot of time dialing in the results using sliders that are about as friendly as Photomatix – which is to say that it’s daunting! It’s worth noting that there is Photoshop Smart Filter support for those who want the opportunity to do non-destructive editing and/or be able to go back and changing their settings without having to start all over again. The following image was created using the Cartoon Color Effect in the Stylized Collection. It uses logic from Simplify to give the image a cartoon look and this variety lets the color bleed through. There’s plenty more too. As I said, you could spend hours just going through all the presets, so your take here is that there’s some cool presets in B&W Effects. How does it compare against Nik Software’s Silver Efex Pro 2? Nik Software’s Silver Efex Pro 2 is extremely popular and for a good reason – it’s an outstanding product, but it is also $199.95 versus B&W Effects which lists for $59.99 (and is currently on sale for half that). 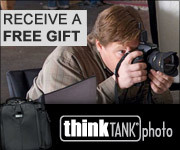 So it begs the question, is this Nik Software product really worth the extra price? If you read my What plug-ins should I buy? article you’ll notice that Silver Efex is in my top 10 list of products (#8 as of this writing), so naturally I think very highly of it. Some might even say that makes me a tad bit biased, but what I can tell you is that no single event has turned me on to Black & White or Duotone photography more than Silver Efex, and the reason is simple – it makes experimentation fun so that you can get the exact look that you find visual satisfying. In the right hands, I’d say that someone could create the same results in BW Effects as one could create in Silver Efex Pro, but I think the Silver Efex Pro user-interface is much easier to use and definitely performs significantly faster to input. It also works with Wacom tablets whereas my Intuos 3 fails in select Topaz products such as this so I had to resort to plugging in another mouse to use BW Effects. There are quite a few differences though, so the devil is in the details. For example, “edge exposure” in BW Effects isn’t nearly as good as burn edges in Silver Efex Pro. There’s no advanced border support, filters are harder to use, film types aren’t nearly as good, and doing duo-tones is drastically easier/faster in Silver Efex Pro. I also prefer the thumbnail previews in the user-interface of SEP over BWE’s navigator window. Finally, the U-Point controls, adjustment features, and zone histogram features all in SEP make it a much more powerful tool for the professional – especially those who like to tweak, but who aren’t geeks. As you can see from the images below, similar results are possible. To be fair I spent more time tweaking the Silver Efex Pro version to get the duotone colors just right, but I didn’t have the patience to try to get it to match in the BW Effects version below. I’ll admit that I am not skilled enough to get ‘identical’ results so some may subjectively favor one of the photos above over another, but the real message from the comparison is that similar results are possible. You’ll also notice that the Traditional Collection - Warm Tone Black Border preset tends to be a bit more aggressive with the sharpening (and noise) so you’ll have to adjust that out if you don’t like it (as I did with the noise). Times are tough and there’s an endless amount of stuff we photographers find ourselves buying, so if money is tight I’d say that BW Effects is a suitable alternative to Silver Efex Pro. If a friend asked me to give up one of these two products, I’d give up BW Effects because I really prefer the user-interface of Silver Efex Pro 2 much more. 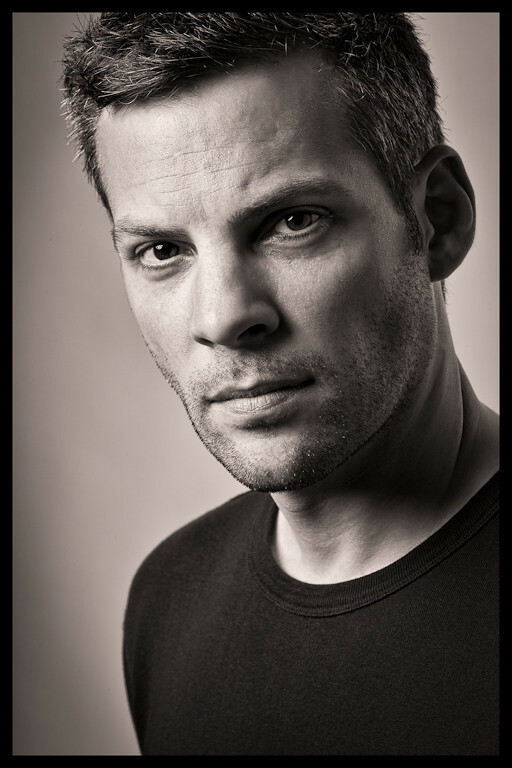 I find that I can get my work done quickly and get amazing results with Silver Efex, so that’s really important to me. However, if that same friend asked which one they should get I’d probably say “get Silver Efex if you can afford it, but BW Effects is decent enough to get the job done – especially if you only click presets anyway”. I’d say kudos to Topaz for competing in this tough space as I figured they’d not have a chance against Silver Efex Pro, but they pulled off a great first effort. 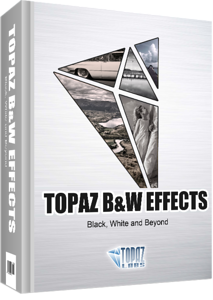 Topaz Labs will also be offering Intro to B&W Effects webinars starting Wednesday August 31st. We invite you to attend and hope that you will also spread the word! You can sign up online at: www.topazlabs.com/webinars. All webinars are FREE. 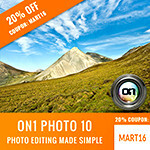 Until September 18, 2011 you can click here and use the coupon code bwandbeyond to get B&W Effects for only $29.99 USD (prices subject to change). After that you can use my Topaz Labs discount found here which is good for 15% off ALL Topaz Labs products. Visit my Discount Coupon Code page for the latest details and discounts. I was provided with an evaluation copy of both BW Effects and Silver Efex Pro. I may also get a commission if you make a purchase using the links in this article. Topaz is certainly slow is it not? Reminds me of old Nikon software in the time it takes to make simple adjustments. Very 2005. MIne also crashed when I attempted to export the first test image. Frankly, if one can'T do in Lightroom faster, easier, and with more flexibility than one can do with Topaz, he/she simply needs a little more study and practice in LR. But the big question is once installed, how do you uninstall this thing on a Mac? I cannot find the app anywhere. I removed the Fusion plugin, but the BW stuff in still on LR. I googled the 2 year old Topaz instructions and they don't apply to Snow Leopard---at least as far as mine is concerned. Why on earth is it so hard to uninstall a program from a Mac? Sorry, but this software seems very poorly written and I wouldn't even pay the $25 sale price for it. On my Windows 7 system from 2007 and my MacBook Pro (both with 8GB RAM) I bought last year (not running Lion) the performance seemed okay in the 64-bit versions. As someone who uses both platforms, your complaint about uninstall is a universal complaint I have about nearly every app on the Mac. Very few programs offer an uninstall, and those that do make it completely undiscoverable. The Mac needs to have something like Windows Add/Remove programs. 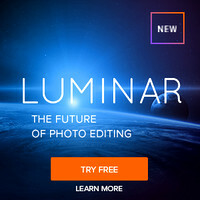 Nearly every plug-in to Photoshop and Lightroom has an alternate way of doing their task, but the add-ins make it easier and faster to get the desired result. 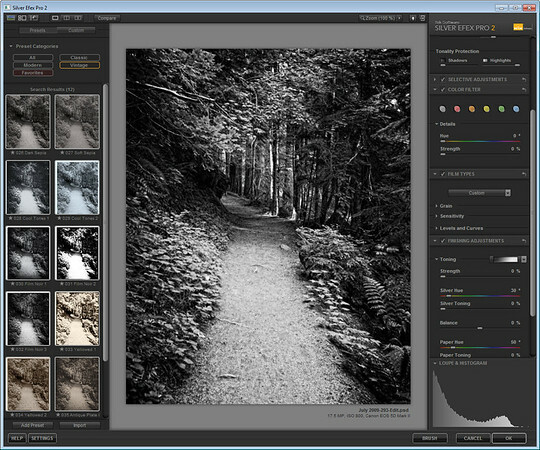 If Lightroom works for you then I can see why you may not need or want this product, but the success of Nik Software's Silver Efex - even by well seasoned Photoshop gurus is a sign that people desire a more advanced solution for black and white conversions. To the beginner, the presets offered by this product along with its more economical price will make it a viable option for some. At the end of the day I encourage people to try it out before they buy and then proceed accordingly. For uninstallation you need to remove Fusion and BW Effects. Please consult http://www.topazlabs.com/setup/ and if that doesn't meet your needs then contact Topaz directly via the support page at http://www.topazlabs.com/support. Thanks for your feedback and I'm sorry to hear that it didn't work out well for you. Yes I don't see a reason for someone who owns SEP to get this product. I think it's audience is those who can't afford Silver Efex Pro.